Exterior 450 provides a clear drying tough, protective finish that will withstand the rigors of the sun, rain, and wind. It is suitable for vertical surfaces such as fences, patio furniture, garage doors, entrance doors, outdoor kitchens and interior windows. It is not recommended as a deck finish. Fortified with UV absorbers to stabilize the finish, Exterior 450’s built-in mildewcide retards mold and mildew growth. Tough and flexible, it will resist the expansion and contraction of the wood through hot summers and cold winter. 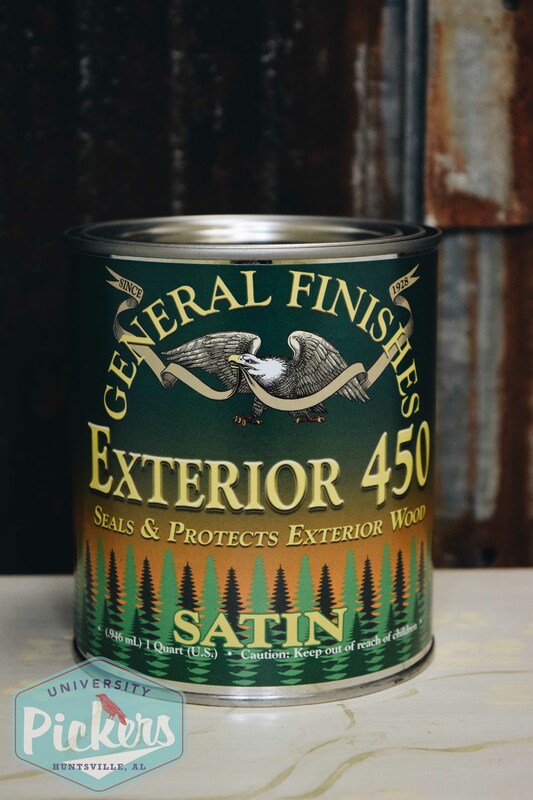 Exterior 450 performs well as a clear coat or as an optional topcoat over General Finishes Milk Paint. It can also be used as a tint base to create custom colors. Warning: We do not recommend Exterior 450 stains or topcoats for exotic woods Ipe, Teak, or other dense oily woods that will get exposure.